Honestly, when Microsoft and Rare took the stage at E3 this past June, what they unveiled with Sea of Thieves didn't really impress me all that much. They promise a crazy, free, open world pirate experience, but I'm not sure if this game has what it takes based on their unveiling trailer alone. You can see it for yourselves in the clip at the head of this post. Well, Microsoft's Kudo Tsunoda apparently thinks Sea of Thieves is going to be boss as all get out. Tsunoda spoke with OXM about the upcoming game briefly in a larger interview, and all of it was drafted up by the mag's sister site, GamesRadar. When asked about Sea of Thieves, Tsunoda dropped a lengthy quote. I've broken it up for your digestion. 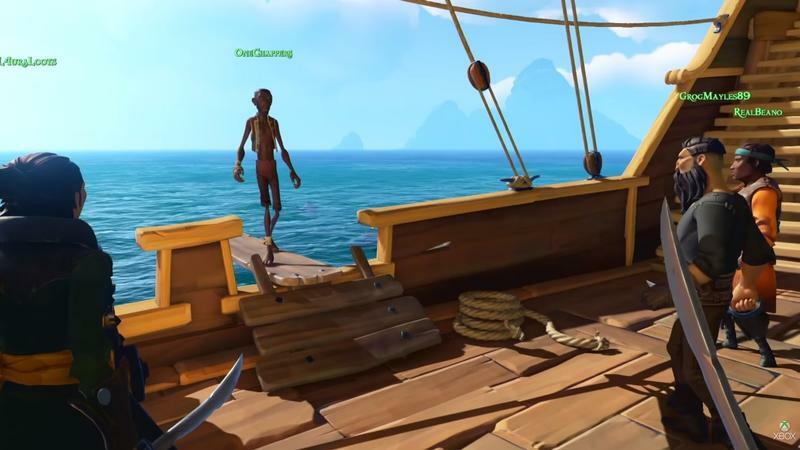 I think with Sea of Thieves, what you're really going to see as you find out more about the game is that it's also about allowing people to create their own gaming memories. It's about enabling people to create their own stories through limitless possibilities, and I think that's what Rare has always done a great job of historically – it is great at creating these super emotional memories and attachments that people have to games. That's a pretty obscure statement, right? I suppose he's right in that Rare used to excel at making games worthy of brain memory storage space, though he doesn't use the same past-tense modifier I do. I think what you're gonna see in Sea of Thieves as we go forward and start talking more about the game is how [the studio is] enabling that kind of player-generated emotional and memory-driven stories that can happen within a game to happen within Sea of Thieves. And I think that's what Rare does well. That's what we're going to keep having them doing in the future. And Sea of Thieves is gonna be the best game that Rare has ever made. That last line. That bit about Sea of Thieves is going to be the best game that Rare has ever made. Those are big words. That's a lot of hype, even for someone whose job it is to generate hype. We'll see. Sea of Thieves is set to sell for the PC and Xbox One platforms. It doesn't have a release date yet.